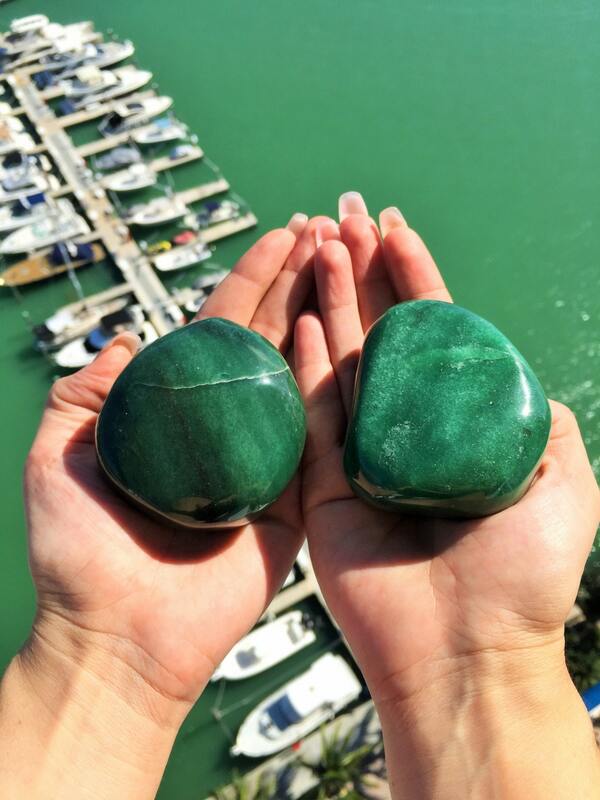 These Large Green Aventurine Palm Stones have a deep green color. 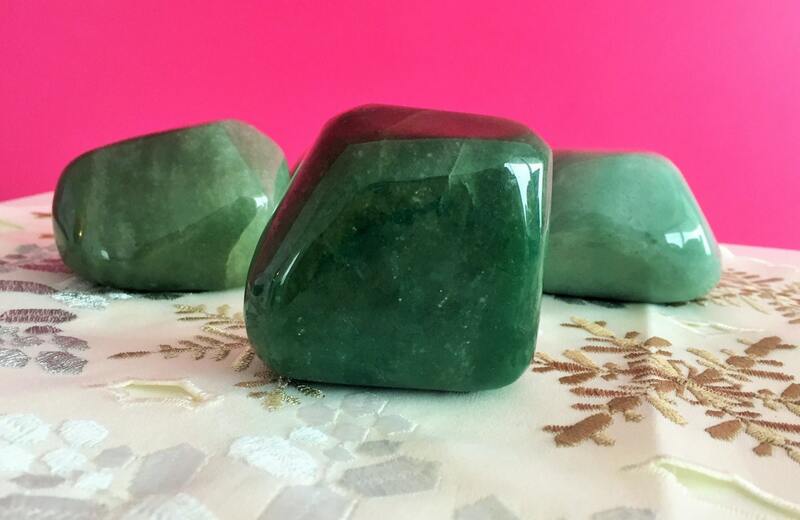 Aventurine releases comfortable energies that heals the heart, this stone is used to clear and activate the Heart Chakra for general well-being and emotional calm. 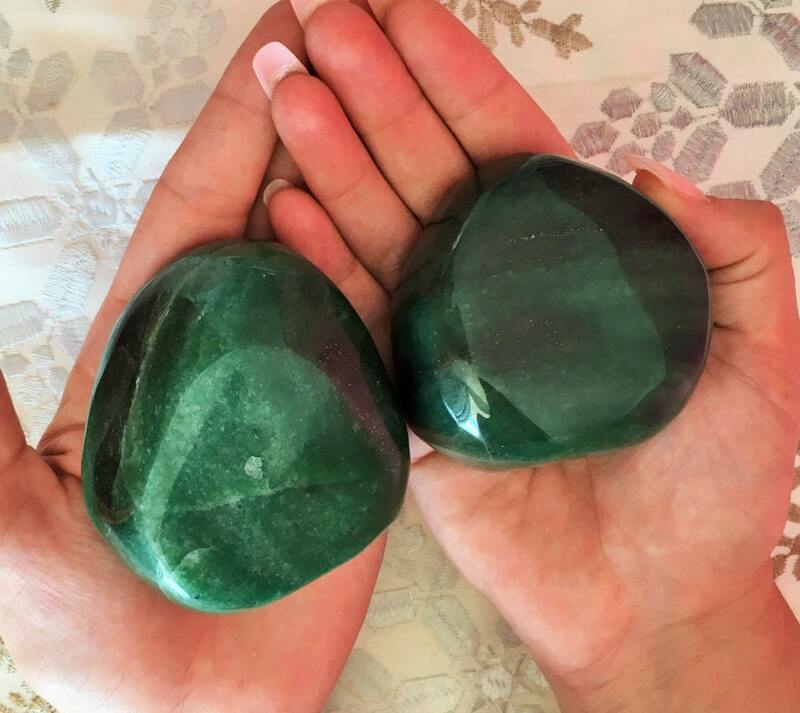 It is also a powerful protector of the Heart Chakra. Stone. 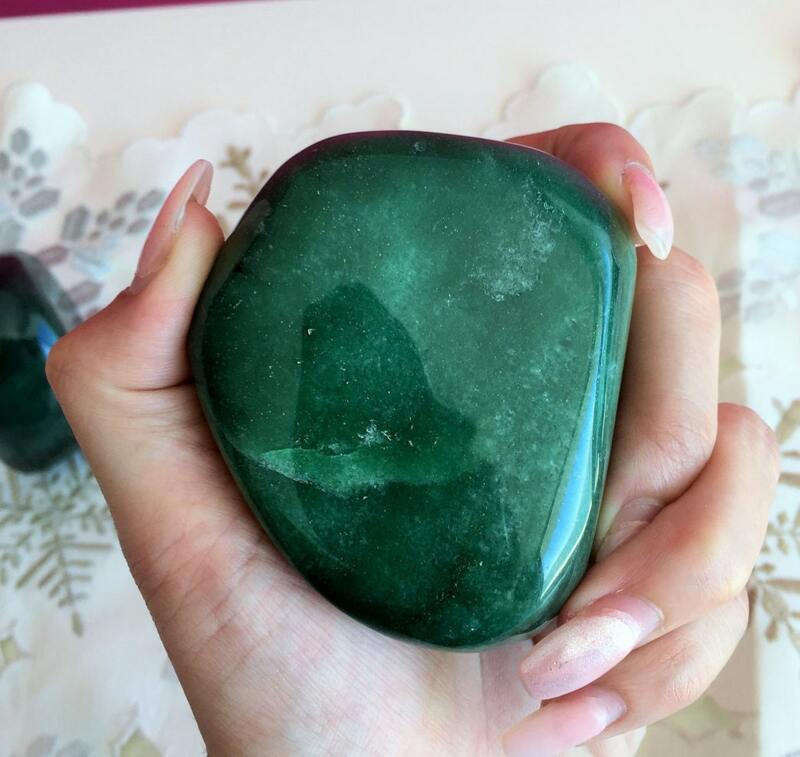 This polished gemstone has no DRILLED HOLES. This is a hefty crystal and I am pleased with it. It shipped quickly as well. 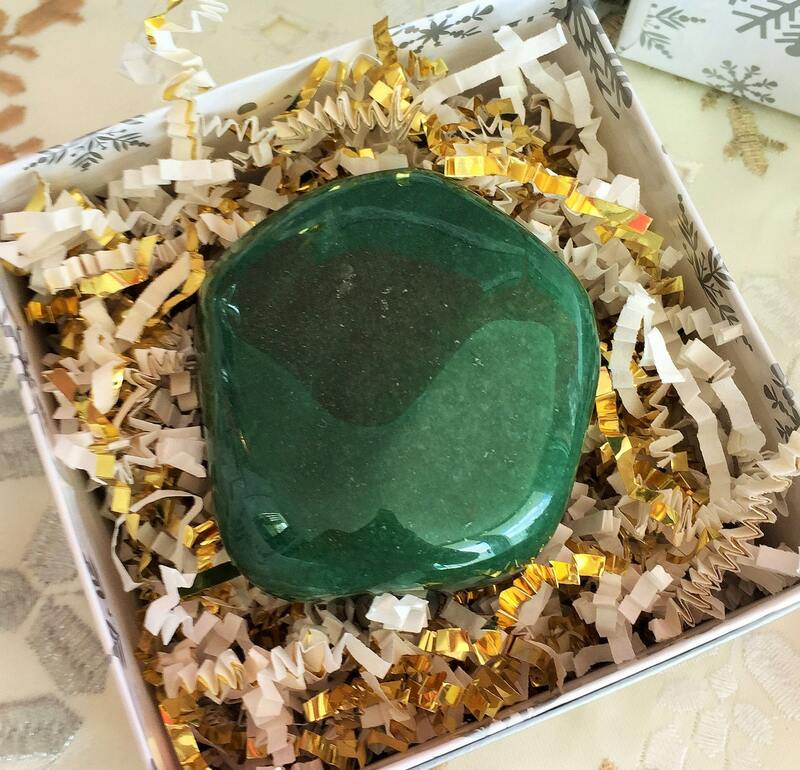 Great stone I love how it feels.